On December 1, 1959, Jose Nepomuceno, the so-called Father of Philippine Movies, died at the age of 66. Born on May 15,1893, his well-off family lived near a theatre, Teatro Oriente, which he frequented during his adolescence and where he watched Spanish dramas (zarzuelas) and, later, European films. This was the prelude to starting a film company, Malayan Movies, and making the first Filipino film "Dalagang Bukid" which Nepomuceno produced and directed, the first ever Filipino-made movie, which was based on a popular zarzuela of the time. Nepomuceno sold his prosperous photography studio, and used the capital to buy equipment, books and magazines about film making. Before he started making feature films, he also made subtitles in English and Spanish which he inserted in French and Italian films. As he became an accredited correspondent of Pathé and Paramount News, his newsreels were shown abroad. Nepomuceno’s newsreels included: the funeral of the first wife of House Speaker Sergio Osmeña Sr. in Cebu; filming the wife of the boxer Pancho Villa as he became the flyweight champion; and the earthquake in Japan in 1923 (the first newsreel taken by a Filipino outside of the Philippines). As the sound technology arrived in the Philippines in 1929, Nepomuceno produced "Punyal na Ginto" in 1932, a movie based on the novel by Antonio Sempio, was the very first Filipino-produced sound movie made in the Philippines. The movie was partially silent and partially with sound, as Nepomuceno just experimented with sound in the latter part of the movie. Nepomuceno's other later movies include "La Venganza de Don Silvestre" (1920), "La Mariposa Negra" (1920), "El Capullo Marchito" (1921), and "Hoy o Nunca, Besame" (1923). In 1930, Nepomuceno produced his masterpiece, Noli Me Tangere, considered one of the greatest films in Philippine cinema history. 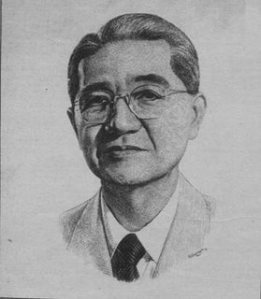 Nepomuceno is the acknowledged founder of Malayan Movies (1917), Malayan Pictures Corporation (1931), Nepomuceno Production (1932), Nepomuceno-Harris-Tait Partnership (1933), Parlatone Hispano-Filipino Inc. (1935), X’Otic films (1938) and Polychrome Motion Picture Corporation (1946). Malayan Movies (and later Malayan Pictures Corporation) was the major domestic film producer during the era of silent films. Nepomuceno continued directing and producing movies until he passed at the age of 66.